Sun is the daughter of mermaid Yakuza Seto Group's boss, Seto Gozaburo. 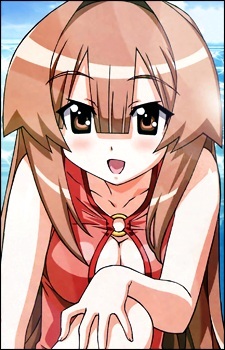 She is a firm believer in the chivalrous spirit of mermaids, and is devoted to her role as Nagasumi's wife. Not yet being an adult, Sun is not able to completely maintain her human form, and her legs revert to a tail whenever she comes into contact with water. (Source: Wikipedia) Sun is well known in her school due to her figure, tall height, and model like appearance.